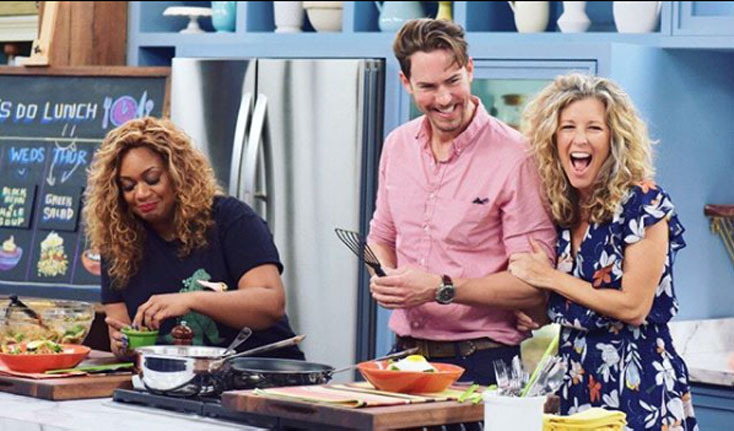 Check out GENERAL HOSPITAL’s Laura Wright (Carly) and Wes Ramsey (Peter) cooking in THE KITCHEN on the Food Network. The episode will air tomorrow, April 14 at 11 a.m. ET. “Sooo Fun!! Check us out on #thekitchen on the @foodnetwork April 14th. @sunnyanderson @wes_ramsey,” Wright shared on Instagram.